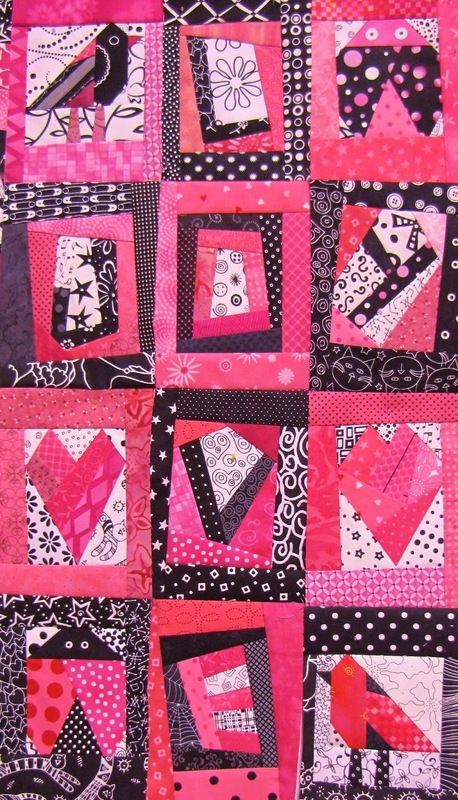 This mini mix and match/color play sampler teaches design/color choices and paper piecing. There are six pairs of 2 3/4" blocks -- can you find the matches? 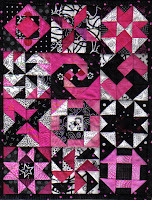 Each block looks very different based on color placement (paper pieced). I love to play with words and my favorite way to tackle a quilt challenge is by spelling out the challenge title with letters in strong, graphic colors. I started with JOY (literally) and love birds soon flew into the picture with ladybugs close behind. Paper piecing makes the sewing process a delight with patterns that are designed for experienced paper piecers as well as beginners. 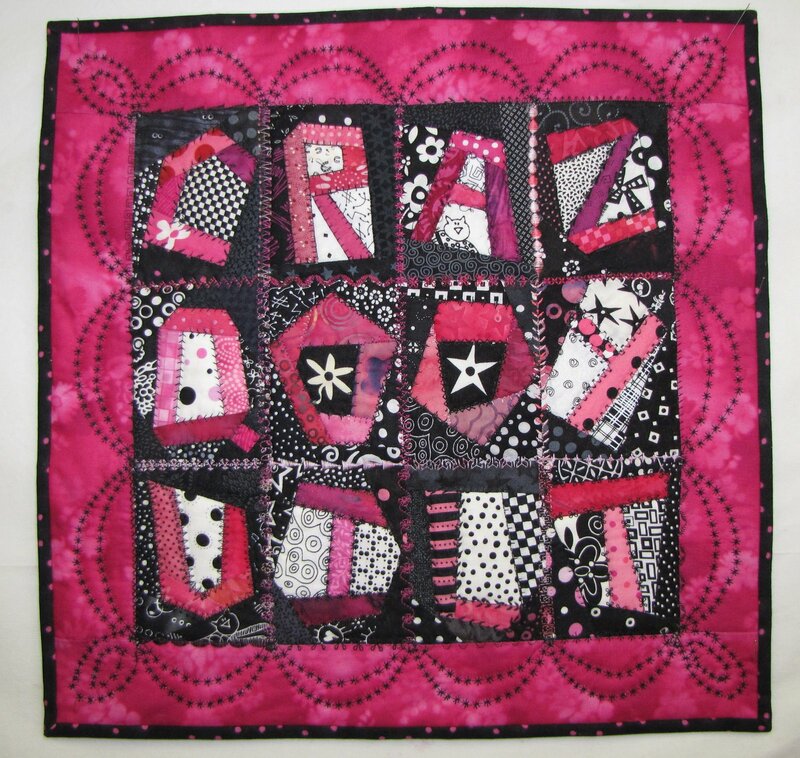 You can choose to work on the JOY quilt or a CRAZY QUILT or choose your own letters/words to make a quilt that is all your own. Come join me in some word play. A fun class where you'll learn a very easy hand applique technique (decorative gather stitch) while unleashing your creativity. Great for all skill levels. 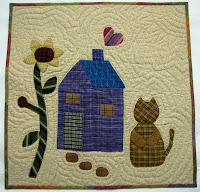 Make a giant plaid cat, a sunflower and a purple house. You'll also learn how to create your own favorite things in fabric. 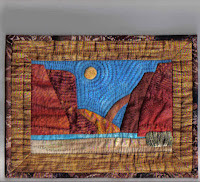 You'll learn an easy needle-turn applique technique to create a southwest picture that can be framed or bound and quilted. This small landscape carries a big bang with the graphic red rocks against the beautiful blue sky. While the small size may look intimidating, it one of the best beginning applique classes, given the long straight lines and gentle curves. 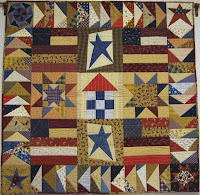 This patriotic wall quilt features a melting pot of techniques: standard, strip, paper and freezer paper piecing. Learn to draft your own free-form flying geese border patterns. See how to adapt and use orphan blocks to speed up the piecing process and to get those extra blocks out of the basket and into the quilt. Expenses: travel (mileage/airfare/baggage) and hotel accommodations.